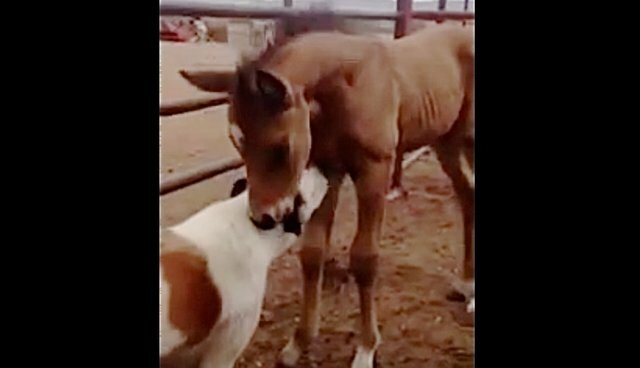 When this pup met a little foal on a farm in Olathe, Colorado, it was clear that the two were going to be pals. Amidst the smooches and nuzzling, the two hardly seemed like strangers. A cuter meet and greet can hardly be imagined. This sort of dog-horse friendship is especially improbable, explains Robert DeFranco, who is an animal behaviorist with the Association of Companion Animal Behavior Counselors. As DeFranco explains to HorseChannel.com, "Horses are obviously flight animals, unlike a dog that's a social animal. 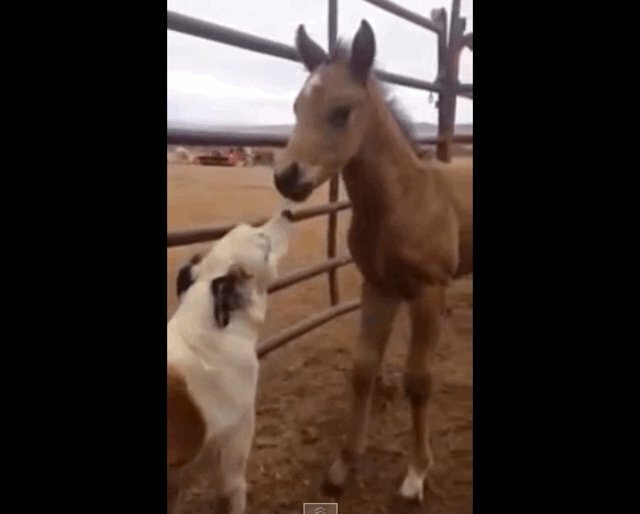 You're going to have a dog coming up to a horse faster than a horse will approach the dog." Despite the odds, these two seem to be completely at ease with one another! Slow introductions and supervision can help ensure that these species feel comfortable being together.